The following student-athletes have been shortlisted for the Athlete CRUSH College Impact Catalyst Award: Josh Bringuel, Bryana Robinson, J.T. Trauber, Julie Foeldes, Sara Hayes. The Catalyst Award is given to someone who takes initiative to make a change. In other words, this is a person who gets involved with or starts initiatives to do good not only within their community, but also the world around them. Read their stories below! Josh Bringuel is a linebacker at San Diego State University who lives by the motto, “Man for and with others.” Within his first two years at San Diego State University, he created a tremendous impact, including taking underprivileged kids shopping around Christmas, speaking at local elementary and middle schools, and providing tours to high school students via the AVID program. Besides that, he has taken on a major community engagement project independently. 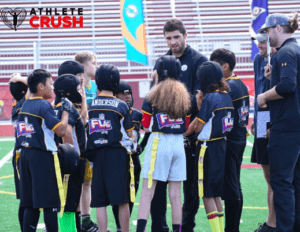 For the last two springs, he has been the head coach for a 5/6 grade and a 7/8 grade flag football team; not only did he help these kids, but he also got his teammates involved. Moreover, he is currently organizing a group of student-athletes to go to Tijuana Mexico on a house-building trip with AMOR Ministries. He is the gift that keeps on giving! 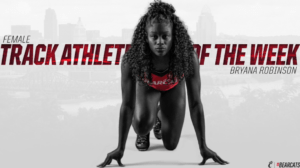 The second nominee on the list is Bryana Robinson, a student-athlete on the Track and Field team at the University of Cincinnati. She holds the school’s record for the 400-meter, but her efforts on the track aren’t the only thing that deserves recognition. Having worked with homeless shelters, autistic children, and various initiatives through her church, she has now branched out and serves underrepresented communities to gain equal access and equitable care. Bryana has also started her own women’s group that seeks to empower young, black women that are interested in working in the medical field. She never stops making a difference! J.T. 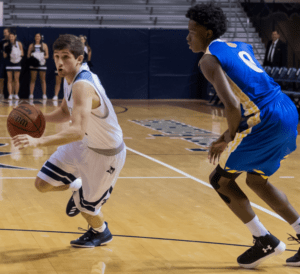 Trauber, a senior student-athlete on the Men’s Basketball Team at Rice University, is the third nominee for the Catalyst Award. He was instrumental in the creation of the Rice Men’s Basketball Hurricane Fund, which helped raise over $62,000 for victims affected by Hurricane Harvey. Moreover, he and several teammates also assisted at the George R. Brown Convention Center where they served meals to families in need and helped separate donated items to distribute to the victims. Amazing work! The Fourth nominee is Julie Foeldes, a senior catcher on the Penn State University’s softball team at Penn State Brandywine. Julie recently helped 10-year-old Ziah Oyler, who suffers from a rare connective tissue disorder, connect with the softball team. 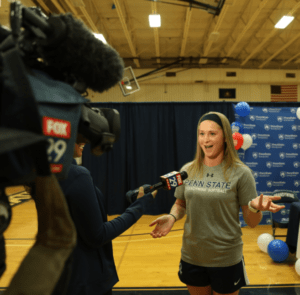 Julie was a catalyst in helping Ziah become an official member of the team and helped organize the press conference, during which Ziah signed her letter of intent to become an official member of the Brandywine softball team. Besides that, Julie has served as a mentor to sixth-grade girls at an inner city middle school through Big Brothers Big Sisters of America known as ‘BBBSA’. She volunteers her time by providing support and personal guidance for girls who are having difficulties in school and/or in their home setting, while also teaching positive behavior techniques and time management skills. Talk about a role model! Finally, let’s meet Sara Hayes! Sara is a member of Saint Joseph’s University’s field hockey team. She participates in a freshman weekly service program called “MAGIS,” which is a great way to delve into the Saint Joe’s community and help others within the surrounding areas. 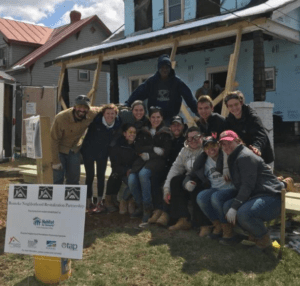 Besides being a part of MAGIS, Sara also participates in “APEX”, which is another phenomenal program at Saint Joe’s where the university sends around 500 students to different service sites throughout the ‘Appalachian Regions’ during spring break. Sara has had amazing experiences and has become a catalyst for improving the quality of people’s lives within the surrounding community. All this in her freshman year!